East Gippsland Dog Obedience Club is located at the velodrome off Inglis Street, Sale. Click on the Google Maps icon above to go straight to the map for our area. 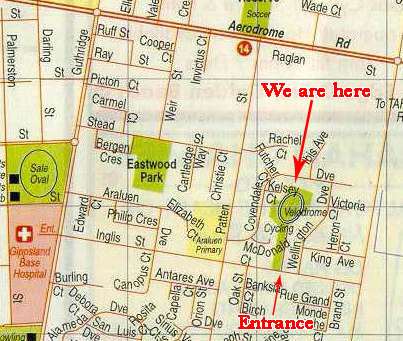 The red marker on that map indicates the dirt road, off Inglis Street, that takes you to the velodrome. Please click Here for directions on where to park your car.